How many students can echo the words of Ecclesiastes, “of making many books there is no end; and much study is a weariness of the flesh” (Eccl 12:12 KJV) . Yet the verse prefixes this statement with “And further, by these, my son, be admonished.” A good commentary can bring fresh understanding of the text and with that, new directions in our lives. 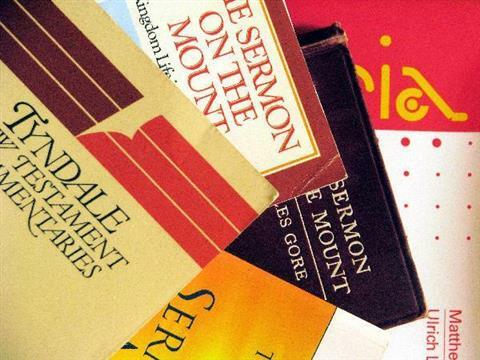 Hundreds of printed commentaries have addressed the Sermon on the Mount, ranging from pamphlet to multi-volume tome, from devotional to academic, and from catholic to cultic. What to make of the Sermon on the Mount? Opinions have varied considerably. The early Christian theologian St. Augustine thought it was a perfect rule for Christian living and a new law, whilst the author Tolstoy described it as a plan for ushering in utopia. Some monastic orders believed it was a ‘counsel of perfection’ for an elite to aspire towards in the here and now. By contrast, a Dispensationalist might claim that it cannot be kept until a future time, when Jesus reigns supreme. Amongst the scholars who have studied it, Kittle saw it as an exaggerated set of requirements that rendered faith a necessity, whilst Weiss believed it was a temporary arrangement, pending an imminent and dramatic intervention by God. Augustine and Tolstoy, the Monks and the dispensationalists, Kittle and Weiss, are but a selection from the host whose varying insights have highlighted differing facets of Jesus’ words (see this Bibliography for more of them). No doubt, so long as the Holy Spirit continues to bring fresh revelation to the text, and so long as academics remain puzzled by its intricacies, such books will never stop being written, but in the mean-time, this site seeks to draw together some of the more significant strands, whilst suggesting a few of its own. Is intended as a set of laws? Was it meant to be taken literally, or does it use figures of speech? Was it presenting a minimum requirement, or a picture of perfection? Were its commands timeless, or for a specific period? Did it extend the law of Moses, or entirely replace it? Was it for everyone, or only a chosen group? Did all of the Sermon’s sayings originate with Jesus? Is the Sermon on the Mount, as we see it today, a later compilation? Whilst many would see no purpose in asking such questions, the concerns of those who do ask them still need to be addressed. And they can be - as this commentary helps to demonstrate. The answering of such questions, once satisfactorily addressed (through a much more critical approach than the simple appeal to ‘just believe’), can support the traditional assertion that Jesus delivered such a speech at an early point in his ministry.